Improved diesel technology, combined with generally better fuel economy, has led to the widespread belief that diesel vehicles are more environmentally friendly than their petrol counterparts. But a new study shows diesel cars with 'defeat devices' may have no environmental benefit over petrol cars. 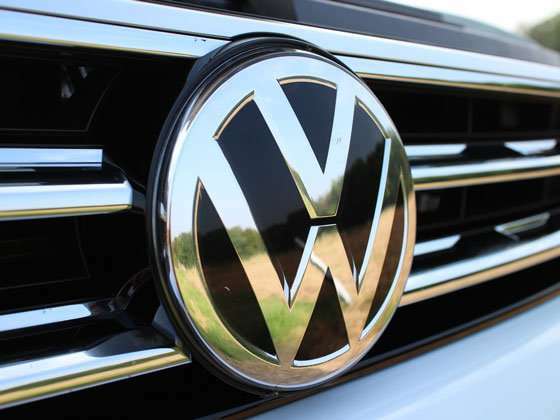 The research looked at the on-road driving impact of Volkswagen (VW) cars, compared with the results from laboratory tests. While previous studies have looked at the health impact of high nitrogen oxide (NOx) emissions from diesel cars with defeat devices, this research published in Environmental Research Letters is the first to examine the effect on climate change. It had two key findings. It showed that, depending on the driving conditions, diesel vehicles with defeat devices can create extra temperature impacts over time. Second, it found that the climatic advantage of "clean diesel" can disappear if the vehicles have defeat devices. Dr. Katsumasa Tanaka, from the National Institute for Environmental Studies in Japan, is the lead author. He said: "The potential impact is significant. We know VW tuned vehicles to pass lab tests while breaking the respective emission standards on the road, to improve driving performance and fuel consumption. As many as 11 million VW vehicles worldwide gained approval in the lab tests by relying on cheating software. That amounts to 40 per cent of the VW passenger cars sold in the EU from 2009 – 2015." The research team compared the emissions data of two defeat device-equipped VW diesel vehicles – one in 'compliance' or laboratory mode, the other in non-compliance or 'real world driving' mode. They then used climate modelling to simulate the temperature response to the vehicles' emissions over one and 15 years; a vehicle's assumed lifetime. They found that the climate effects caused by the non-compliant vehicles over a year showed more complex changes than those shown in the lab tests. This results from excess NOx emissions from on-road driving, which manifest as competing climate effects over various timescales. Dr. Marianne T. Lund, a co-author at CICERO Center for International Climate Research in Norway, said: "The picture is complex. The effects from on-road emissions show themselves first as strong short-term warming. This results from tropospheric ozone (O3) responding to excess NOx. In the medium term, the warming drops due to a reduction in methane concentration and the decay in short-term ozone response. "But this is followed by long-term warming caused by carbon dioxide emissions, as the methane cooling effect disappears." The results show the extra climate impacts of the non-compliant vehicles, shown as the difference between the impacts of the on-road and lab results over 15 years, depend on the timescale as well as the underlying driving patterns. The non-compliant diesel vehicles produce larger warming climate impacts in the short term than compliant diesel vehicles of equal characteristics, but create smaller impacts in the mid-term. Yet, differences in the long-term temperature changes, determined by the differences in CO2 and unaffected by NOx, are inconclusive regarding the direction of change. The question of 'clean diesel' offering an environmental advantage is also affected by defeat devices, as well as timescale and driving conditions. Dr. Tanaka explained: "Emissions from diesel vehicles in compliance mode show smaller climate impacts (six to 20 per cent less) than comparable petrol vehicles. But when we look at the results from diesel vehicles in non-compliance mode, we find a slightly larger long-term warming under urban driving conditions, as opposed to a smaller longer term warming under highway driving conditions. This means that the presence of defeat devices undermines the legitimacy of arguments for 'clean diesel'. He concluded: "Our study supports the direction of new emission regulations requiring more data from on-road operations. Designing next-generation policies tackling diesel vehicle exhaust requires input from various perspectives, as well as interdisciplinary discourse. "The climate impacts need addressing as one of the central issues together with: human health; climate policies; engine technologies; regulatory mechanisms; legitimacy; and ethics to inform policymaking associated with diesel vehicle exhaust. Man made climate change is total crap. It was the greens that demanded and got widespread diesel adoption in the EU. Where diesel was not artificially priced lower, and there were no diesel car buy tax advantages, there were very few diesel cars sold. Large diesel trucks are now very clean, as the is a large budget for pollution controls. Yes, this 'horseshit' has gone far enough. Can't even predict seal levels with any accuracy, yet they think that they can tie diesel emissions from a relatively few diesel vehicles to climate change. This group has completely lost my respect and trust. What a complete load of unsupported political bull! Christ, China alone has much more emissions from NEW coal plants that come on line every year or North American wild fires than anything the Germans ever produce with their piddling diesel vehicles. You will never win the hearts of the public with lies and manipulation of facts. You disgust me!